We understand that it can be difficult to find a trustworthy family dentist in Bradenton, FL. Dr. Shepherd Frenchman and his entire team deliver quality care and guidance for patients of all ages to achieve their optimum oral health through the many dental developmental stages. As a Bradenton family dental practice, we offer the best in comprehensive and preventive dentistry to all of our patients, from protecting emerging baby teeth to replacing lost teeth. We focus on empowering our patients through education and preventive services so they can gain and maintain control over their dental well-being to limit the need for restorative dental procedures. Our Bradenton family dentist provides high-quality and compassionate dental care in a relaxing, family-friendly environment. Our practice is designed with our patients’ comfort and health in mind – we understand that a positive experience at any age will lead to a lifetime of excellent dental health. The American Dental Association recommends regular visits at least twice a year, sometimes more depending on the condition of the patient’s smile. Regular visits allow us to get to know our patients’ medical history, and to examine the teeth and mouth for signs of disease or other dental problems. Certain conditions, including gum disease and tooth decay, are best caught in the early stages of development – left untreated these problems are likely to lead to more aggressive treatment solutions. Through our comprehensive approach to preventive dentistry, our Bradenton dental team is able to catch the conditions before they cause significant damage, preventing our patients from having to go through more treatment than is necessary. Preventive dentistry begins with your first dental appointment. At our practice, we help protect young smiles through treatments like fluoride rinses and sealant application to help strengthen baby teeth and encourage stronger, resilient adult teeth. 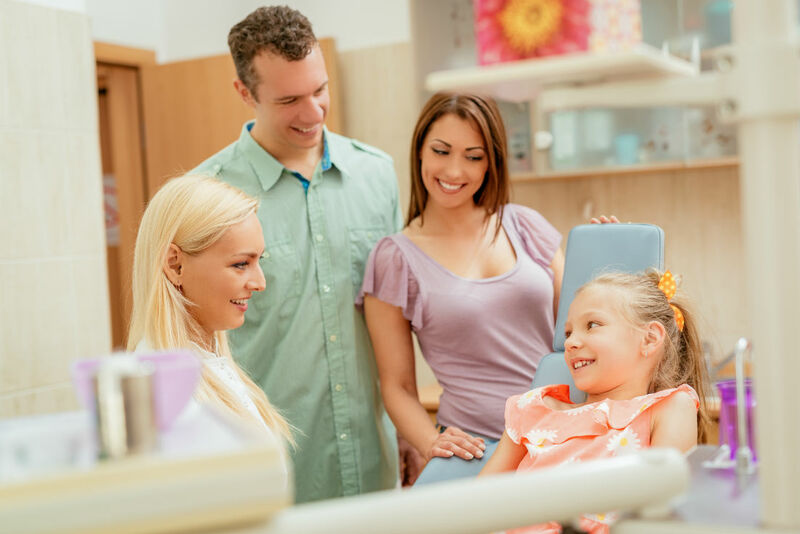 Our Bradenton family dentist pays close attention to our patients’ individual needs, particularly our young patients who experience many dental changes as they grow. Dr. Frenchman and his team will watch for jaw and alignment problems, which commonly arise as our young patients transition to a mouth full of adult teeth. Restorative procedures and methods are used to recreate a healthy beautiful smile in the least invasive manner possible. We are happy to set up a consultation to discuss your oral health needs! Our treatment plans are tailored to help you meet all of your family’s oral health goals and to keep your teeth in excellent shape. For more information on the family-friendly services from our Bradenton dental office, contact us today or request an appointment online.